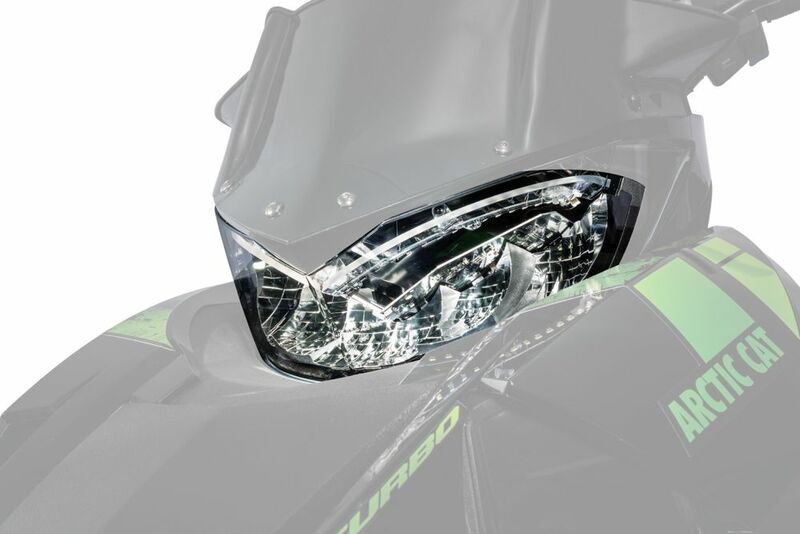 Illuminate your ride and enjoy maximum light performance with the new LED Headlight from Arctic Cat. * The LED design provides significantly greater performance compared to halogen lights. * When the high beam is activated, the low beam remains on to deliver a light pattern with great range and width for optimal visibility. * Special LED accent lighting illuminates when the key is turned on. * Available for 2018 Arctic Cat 6000 and 8000 Series models that come stock with halogen lights. * The MSRP is $399.95 U.S./$604.95 Canada. The part number is 0709-096. These new LED headlights are awesome, the difference between these and the twin bulb halogen headlight is like night and day! I will be installing this on my 2018 6000 when it comes in. Is the headlight assembly different for the 7000 ? Wish they fit the 16 sleds. Will these lights fit a 2015 xf 7000? So the disclaimer on the Arctic Cat parts page is these don't work with prior years models. Looking at 2017 ZR 8000 model parts assembly and harness compared to the 2018 ZR 8000 the headlight lighting harness looks identical. The headlights from 2017 to 2018 appear to be secured slightly differently. So the headlight mounting or fitment is slightly different. If minor then might work. I installed this light in my 2018 6000 ES on Sunday. Took me maybe an hour to complete it. Works fantastic! Wish the accent light would light up on the turn of the key but minor. Shows up great on low beam. High beam is downright fantastic!